The Online Learning Journal (OLJ) is an open, peer-reviewed, quarterly journal. This first issue of 2019 contains 15 articles reflecting a broad range of topics, research questions, and methods. This collection of studies advances our understanding of cultural, theoretical, pedagogical, methodological, faculty, and professional development concerns in online settings. Read now. 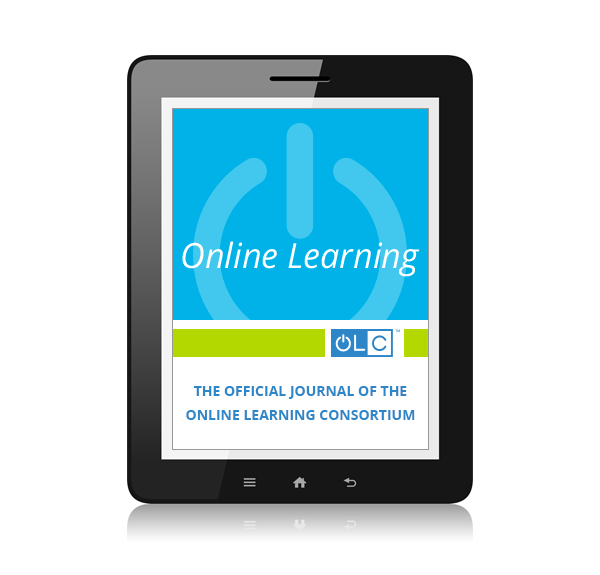 Online Learning Journal (OLJ) is the Online Learning Consortium’s premier journal dedicated to the development and dissemination of new knowledge at the intersection of pedagogy, emerging technology, policy, and practice in online environments. Our mission is to provide scholars, practitioners, administrators, and policymakers with the very best research in online learning. Papers building on and/or developing theory and supported by rigorous methods are the norm. Occasionally, papers reviewing broad areas are published, including critical reviews of thematic areas. Online Learning is published 4 times a year, and entire issues are published from time-to-time around a single topic or disciplinary areas. Calls for papers for special issues include specific due dates, but general submissions are accepted year-round. The journal adheres to traditional standards of double-blind peer review, and authors are asked to provide systematic data in support of claims.